Here's the truth of the matter: Getting Disneyland discount tickets isn't easy. And when you do find disocunts, they are usually small (less than 5%). You may think the writer is misinformed to say that. You've seen those online ads make claims like "Up to 55% Off Disney Tickets or "Big Sale On Now!" However, no amount of hype or hoping, wishing or praying will get you a ticket to Disneyland at more than a few percent savings. What those ads will lead you to is cheesy, so-called comparison sites that are more lists of links and none of them will deliver anything close to the promised discounts. The good news is that you can still get some Disneyland ticket discounts, and you'll do best if you plan in advance. Learn about the regular Disneyland ticket prices before you start looking for bargains. If you came here looking for information about package deals, use the Disneyland Vacation Package Guide. This tip only works if you're also planning to visit some of Southern California's other attractions during your trip. A Southern California CityPASS includes 3-Day Disneyland Tickets and tickets for one day each at Legoland and SeaWorld. You can add the San Diego Zoo or Safari Park for even more savings. The total discount on all your tickets is approximately 30%. Buy the passes ahead of time, or at the gate of any of the participating attractions. Find out more about whether it's the right choice for you in the Southern California CityPASS guide. Disneyland Specials: From time to time, Disney offers special discounts. The most common one is adding a couple of extra days to a multi-day ticket for free. Buy Online - Pick Up at the Ticket Booth: Try online ticket seller Getawaytoday.com. They offer hard-to-find ticket discounts, but they're not e-tickets. Instead, you have to stop by the ticket booth on the way in to pick them up. Stick to One Park a Day: Reduced-price tickets called 1-Park per Day are about $15 less than a Park Hopper ticket. You can use them for only one park per day. Multi-day versions allow you to switch parks on different days, though, so you could spend 2 full days at Disneyland and 1 day at California Adventure with a 3-Day, 1-Park per Day ticket and save money. Shorten Your Stay: Another way to save money is to spend fewer days in the parks. That doesn't mean you can't do everything. Most visitors spend more time in line than doing anything else, but you know better. With an inexpensive subscription to Ridemax, you can stay out of line and easily, do in two days what it takes most people three to four days to cover. In fact, I once used it to do almost all of Disneyland in a single day and had time to spare. Stay Away from Auctions and Unauthorized Sellers: Some people buy 5-Day passes, use two or three days and try to sell the remaining time in online auctions. However, Disneyland now photographs each ticket's user, making these tickets useless. Other people selling tickets through Craigslist or other websites may be selling counterfeit tickets or expired ones. Get Dapper: Twice a year, a group of stylish folks get together for a trip to Disneyland, wearing their most "dapper" clothing. It's a lot of fun, but it also comes with a ticket discount. Sign up for their newsletter on the Dapper Day website, and you can find out how to get discounted, convention-rate park tickets for the event. Go for a Walk: Get your exercise and a Disneyland discount at the same time. Participate in the Children's Hospital of Orange County CHOC/Disneyland Resort Walk in the Park held in August. For registering, helping a good cause and walking just 3 miles, participants get an entrance discount when they show their wristband at the ticket booth. Southern Californians: If you live in zip codes 90000-93599, Disney offers frequent special deals and discounts for online purchases along with discounts on annual passes. Your local Costco, Von's or Ralph's store may also offer lower-priced passes. California Teachers: Members of ACSA, CTA, CRTA and First Financial Credit Union can get Disneyland discount tickets through TSA Special Services by phone or mail. Their once-excellent discounts are getting less impressive every year, nearly vanishing when you add their processing fees, and you have to order far enough in advance to allow for mail delivery. Southern California University Students: Some area universities offer discounted, one-park, one-day Disneyland discount tickets for their students. Check with your Student Union. 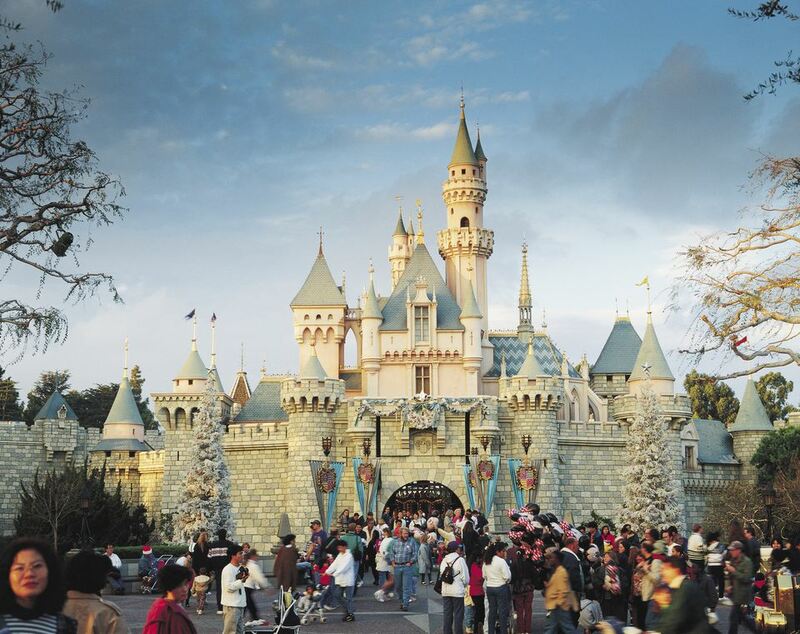 Employee Discounts: Some large corporations and government agencies in Southern California also offer discounted, one-day, one-park Disneyland discount tickets to their employees. Ask your Human Resources department. AAA and CSAA Members: These California automobile clubs sometimes offer discounts, but that's not guaranteed. Know the regular prices and grab your calculator before you buy. Some of their "packages" can cost the same as the individual parts at full price. Some area hotels offer discount Disneyland tickets with a room rental. Don't get tunnel vision on this one. Get out your calculator to be sure your total cost for tickets and hotel are the lowest possible. Military Discounts: Active duty, Reserve, National Guard, Retired, and DOD employees can buy Disneyland discount tickets, with the amount depending on the time of year. Check with your base MWR for information. You often have to buy these in advance and bring your military ID to show at the gate when you use them. Are Disneyland Packages the Way to Go? What Is Disneyland Like in October?